Here`s the Paris Madison played live at the Madison Club in Paris. 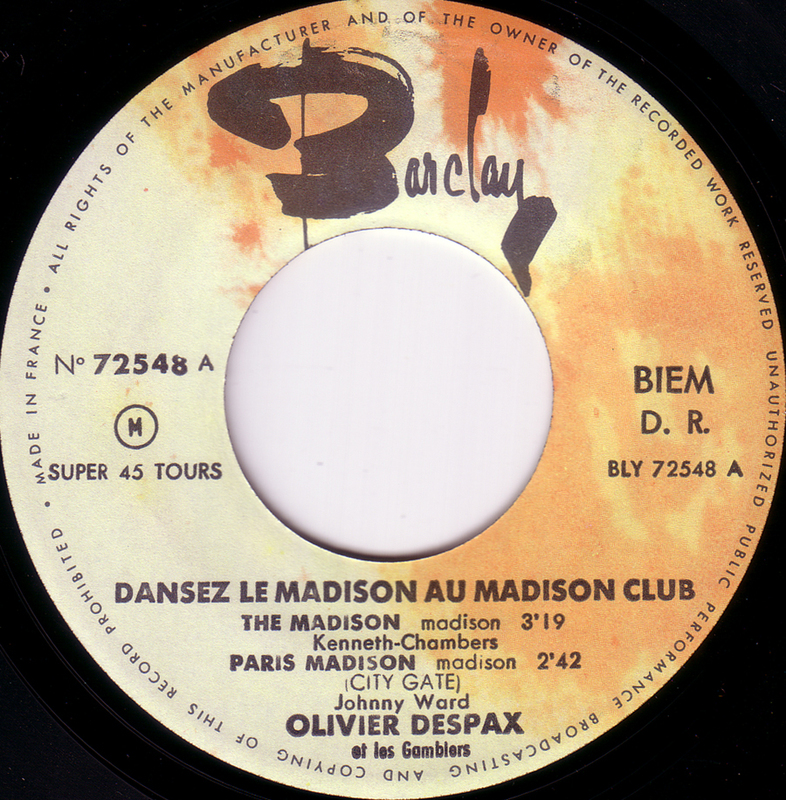 Olivier Despax and his Gamblers sound more like a Jazz group but one that can also rock. Great conga playing, a driving organ and a bluesy guitar break . You can hear the people shouting in the background. This is wild stuff! 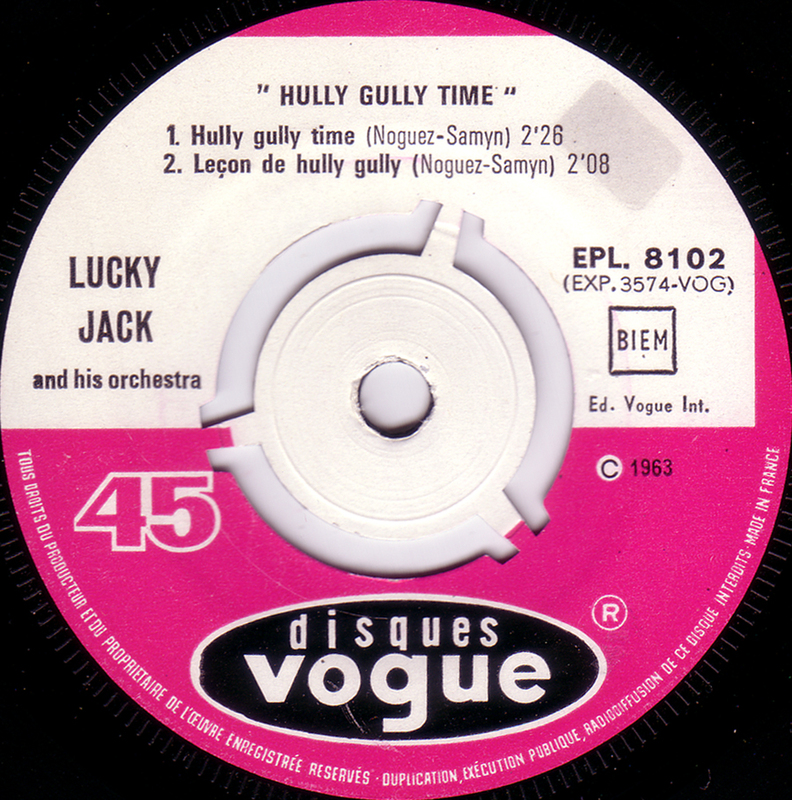 If you liked these Hully Gully songs and are too lazy to download every single one go to Michael´s Mostly Uncomped blog. He collected the best ones I posted here and added some others and made a nice Hully Gully compilation. How could I forget to post this? 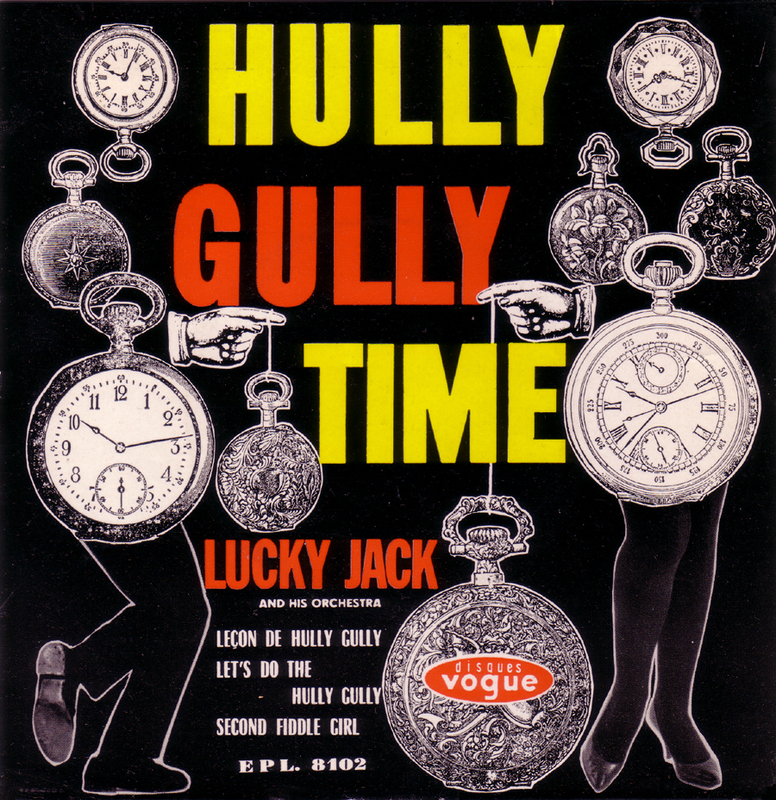 Hully Gully Firehouse is one of my favorite Hully Gully songs! 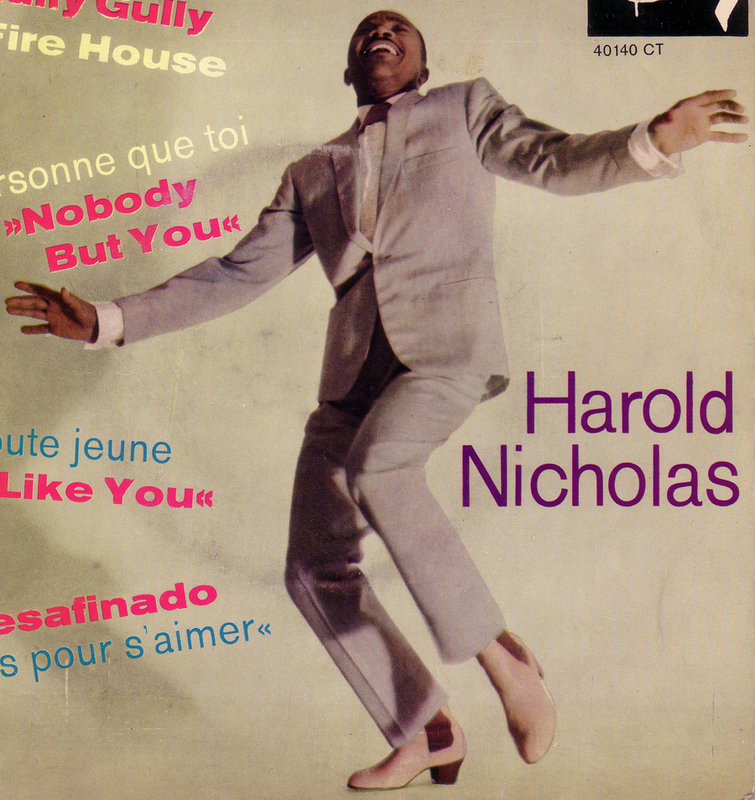 Harold Nicholas was an African-American expatriate who moved to France in the 50`s. Together with his brother he appeared in various European movies among them the German musical Bonjour Kathrin(1956) with Caterina Valente. Later he played along with Eddie Constantine in the French detective-movie parody “L’empire de la nuit”(1962). 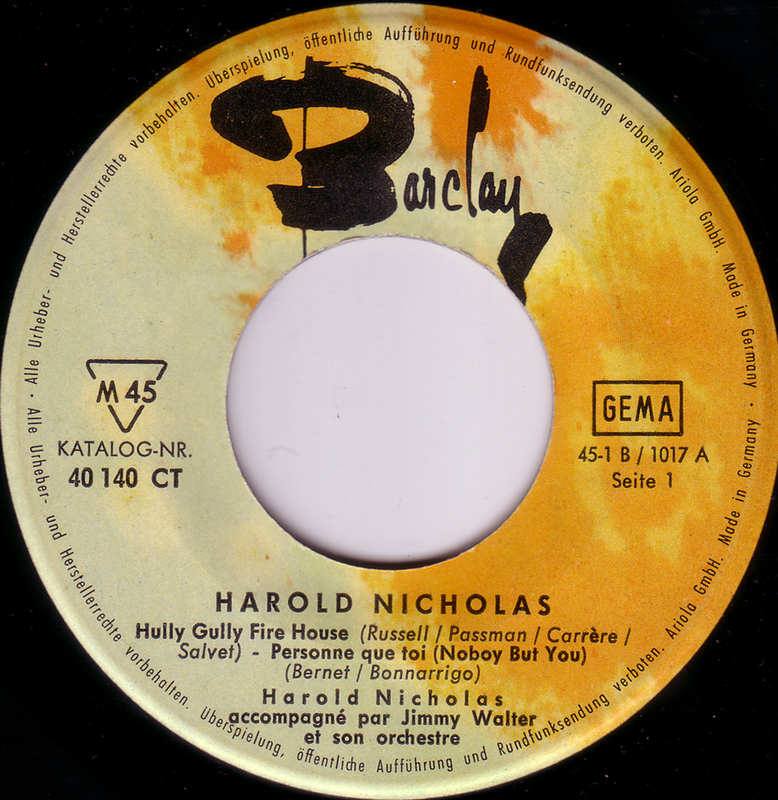 Born in 1921 Harold Nicholas was already 42 years old, when he recorded these songs but you would never know. This sounds totally fresh and dynamic and he must still have been one hell of a dancer. His French is very good too and for the longest time I couldn`t make out where the slight accent was coming from. 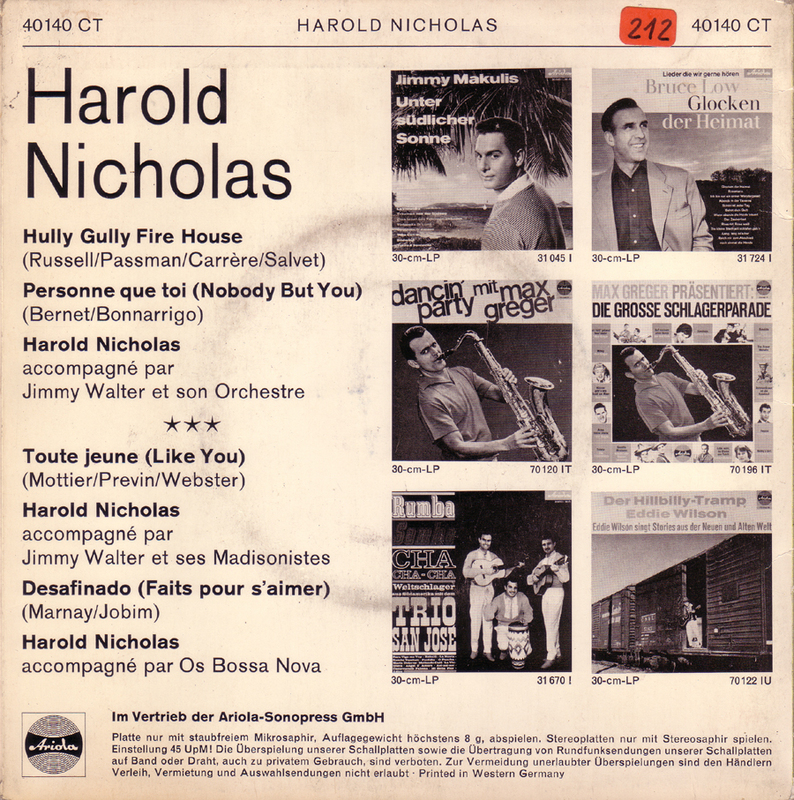 I don`t know if Harold Nicholas recorded more than these handful of songs in the early 60´s. He sang Jazz in later years. Only a short time after he moved back to New York Harold Nicholas died of a heart attack in 2000. 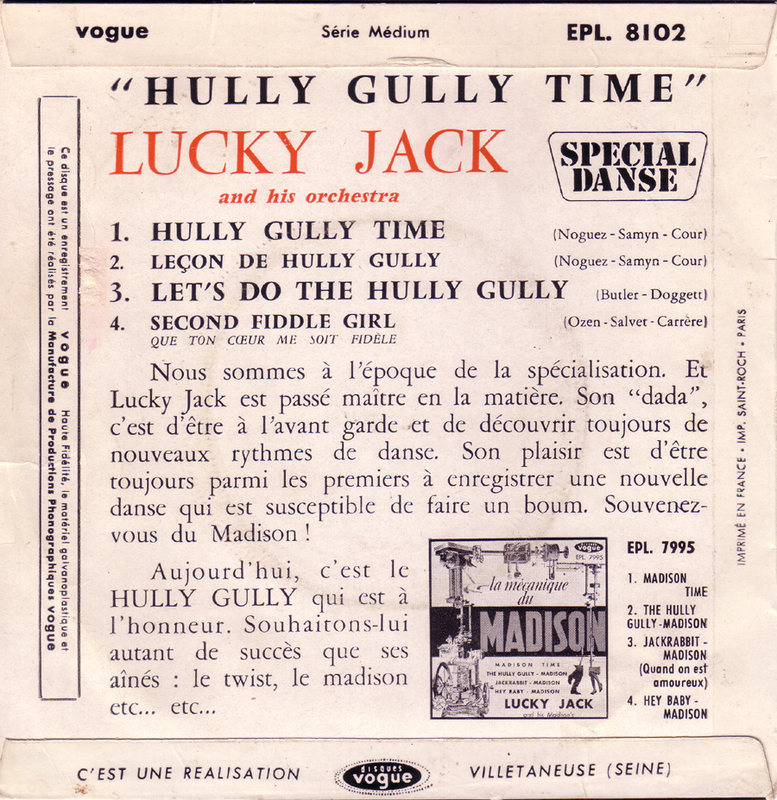 This is a German release on the Ariola/Barclay label and the songs are different than on the French Barclay EP that you can see here. 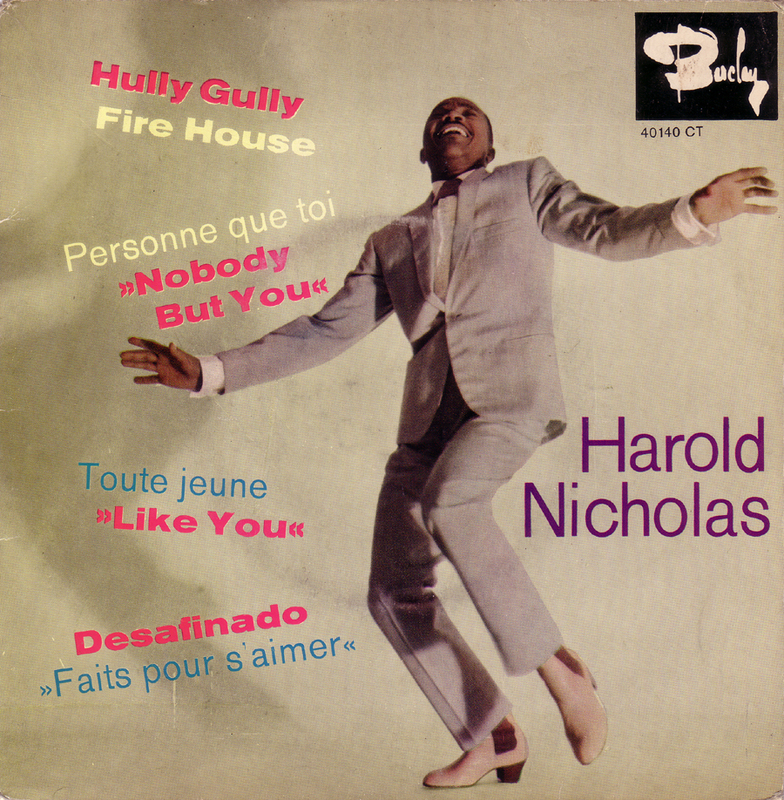 Hully Gully Firehouse is great soulful Rock`n`Roll with a great guitar!